The most of us think of a diamond as the beautiful shiny gemstone in a ring, or maybe as part of another piece of jewelry. As it sparkles in the light, it might flash you a memory of the time you got engaged or remind you of when you bought or received the jewelry. Little do we know however what long (like in extremely long!) and arduous journey diamonds undergo before they finally shine to their full potential and brighten up their owners’ lives. Diamonds themselves cannot be dated, so it is not 100% certain when the timeline of a diamond starts. They often have inclusions though that scientists have managed to carefully extract and examine. They found that diamonds have been formed in the Precambrian era, between 4,600 – 542 million years ago. Not only are natural diamonds ancient, but they were created extremely deep in the earth’s upper mantle. More than 100 miles (160 km) below the earth’s surface. Nobody knows exactly how long it takes for a natural diamond to be formed but we do know that they are made under extreme pressure (50 kilowatts) and very high temperatures (2,000 Fº, 1,050 Cº). They were brought closer to the surface via long dead deep-seated volcanic eruptions. As the volcanic material cooled in the old eruption tunnels, it formed rocks-formations called Kimberlite pipes with the diamonds trapped inside. 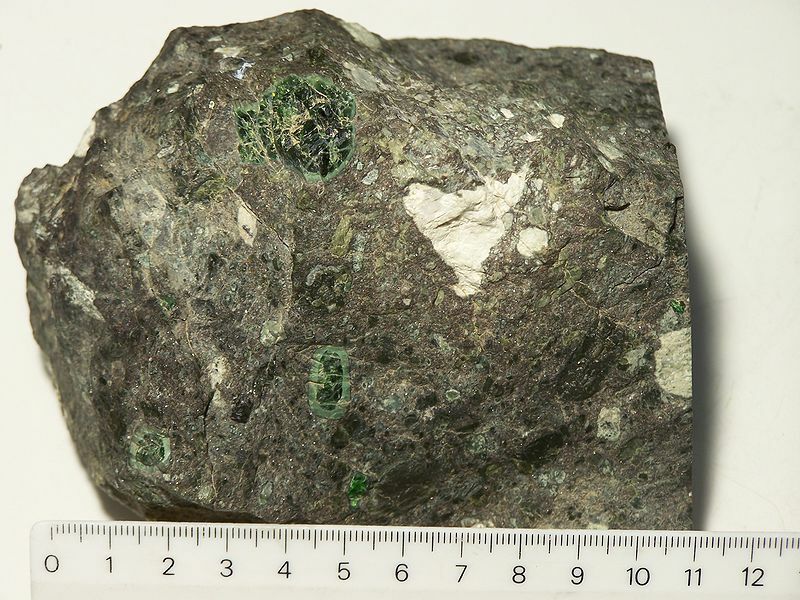 Kimberlite rocks such as the one pictured below point geologists to the diamond bearing Kimberlite pipes. The most of the world’s mined diamonds are found in Kimberlite pipes and geologists look for them when are searching for potential diamond mining sites. Diamond mines are extremely costly. They do not only require a large amount of manpower, but they are often situated in isolated places with little or no infrastructure. The quality and quantity of the diamonds trapped inside the kimberlite rocks will help to make the decision if a diamond mine will be viable or not. 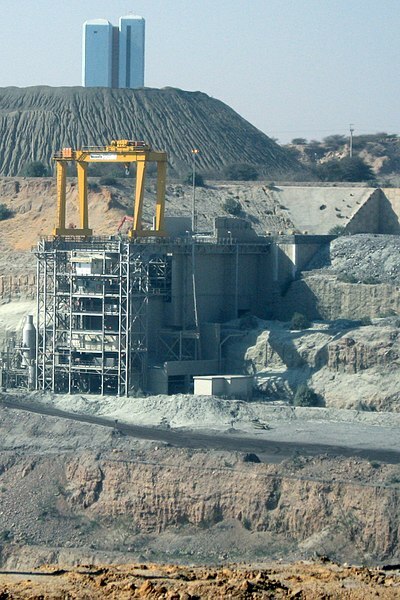 The Jwaneng mine in Botswana is considered one of the richest mines in the world. There the miners, on average, move one ton of rock to get to 1.4 carats of rough diamond. Once the diamond ore has been collected, it is crushed and scrubbed. Pieces of ore that are smaller than a 0.05 inch (1.5mm) are discarded because it is too expensive to extract the diamonds. The diamonds are removed from the ore through various processes that utilizes some of the unique characteristic of diamonds. They are, for example, hydrophobic (expels water) and sometimes show fluorescence under an ultraviolet light. The isolated diamonds are now washed, weighed and packaged for the next leg of their journey. A high percentage of rough diamonds, about 92%, are cut and polished in India. The diamond cutters are extremely skilled and have the necessary equipment and tools but are also cheaper compared to the rest of the world. Each rough diamond is assessed carefully, often with the help of 3D computer modeling, to decide what will its final shape look like. Waste should be kept at a minimum to maintain as much carat weight as possible but still the cut diamond’s inner beauty must be allowed to shine. Larger diamonds are usually cleaved or sawed into smaller pieces with a steel blade, a laser or a diamond-coated rotary saw. The rough diamond is hold in place and cleaved along the tetrahedral plane. The rough diamond pieces are now shaped into a basic round shape with the help of another diamond. 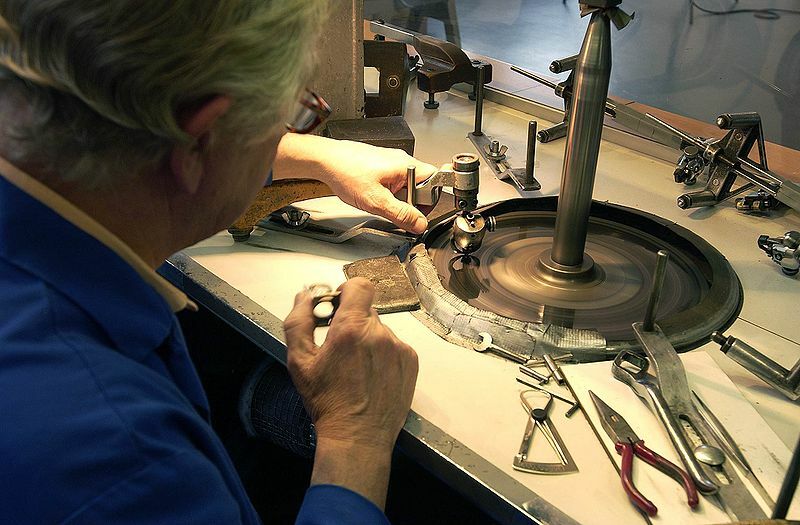 The bruited diamond is spun on a rotating lathe while the second diamond grinds against it at the correct angles to form it into the basic shape. 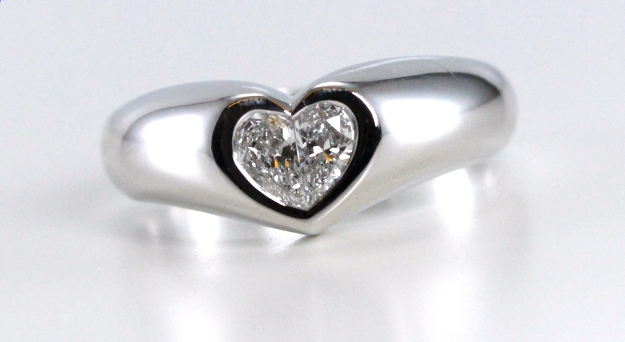 Small facets are now cut into the diamond that will allow it to capture and reflect the light. In the first step, called blocking, the diamond is cut into the first basic 18 facets. Then, during the brillianteering step, the diamond cutter will add up to another 58 facets while taking care to keep the proportions of the diamond as symmetrical as possible. The cut loose diamonds are now cleaned in acids, examined one more time and then sold as to a selected group of wholesale diamond dealers. The cut diamonds now enter the world of diamond trading. Wholesale brokers can sell the polished diamonds to other diamond traders, to jewelry makers or even sell their loose natural diamonds online. 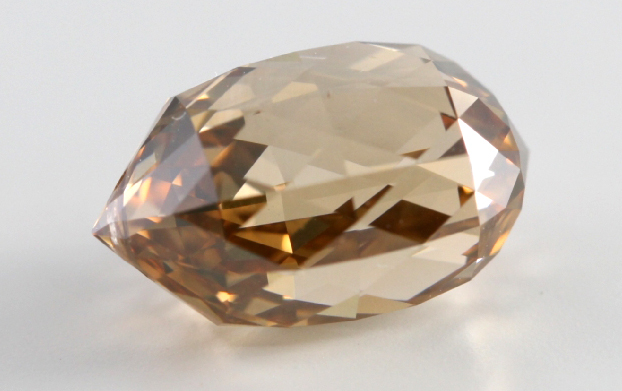 One of the loose diamonds available for sale at Caratsdirect2u.com. Natural diamonds are truly remarkable and it is not just because of their beautiful sparkle, or because they are the hardest element on earth and are ancient relics from the depths of the earth. As this timeline of a diamond has shown you, that sparkling diamond on your finger is the culmination of humanity’s progress in art, science and engineering. So many people across the world have worked hard to bring natural diamonds to the surface and make them shine as brightly as they can but it is worth the effort, no? Caratsdirect2u has a wide range of loose natural mined diamonds for sale. Please feel free to phone us at our toll free number 1-800-557-7095 if you need any help.